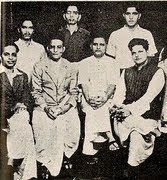 Rightwing Rumblings: If we had followed Veer Savarkar.. 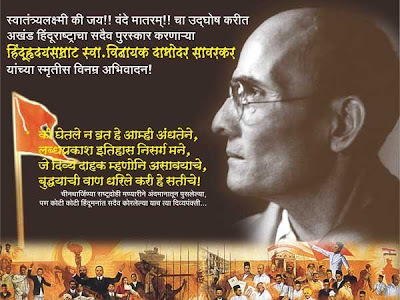 Veer Savarkar had said: "Hinduise politics and militarise Hindus!" We hadn't paid much attention to his good advice. But as soon as Gandhi said: "We need Hindu-Muslim unity at any cost", we all ran after this falsehood and lost half of our land. But the surprising thing is that as soon as we mention unity of the Hindus, we are told that Hindu unity has been made impossible by the politicians. Thus, it appears that Hindu unity is impossible but Hindu-Muslim unity is quite feasible! What kind of rubbish is this? this show how you ppl get fooled.